Ceibass Venture Partners – Here’s to You on Labor Day. For the team of enterprise value specialists at Ceibass, Labor Day is a very special day that deserves exceptional recognition. 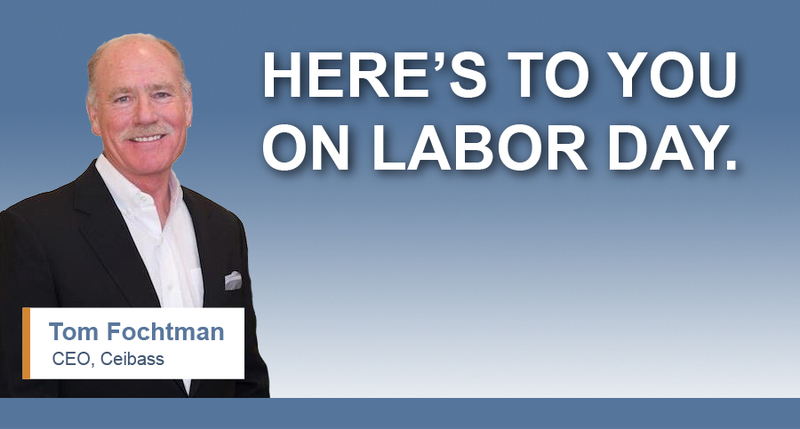 “Labor Day honors the American labor movement and the contributions that workers have made to the strength, prosperity, laws and well-being of our country,” said Tom Fochtman, Ceibass CEO. The tenacity of business owners to deal with the constant threat of recruiting, and keeping and paying for the landscape professionals who work on their behalf. The responsibility that owners feel to care for, develop and grow & engage their employees. The hard work that goes into producing and maintaining customer satisfaction so that contracts get renewed. The constant work that goes into maintaining equipment and improving the technology of the company. The skill to handle the unexpected firestorms that always arise just before an owner is about to take a vacation or attend a family event. The never-ending development of systems and procedures to take care of the many concerns of the enterprise including routing, maintenance, quality control, accounting, invoicing, receivables, etc., etc., etc. The personal control it takes to deal with the implementation of these new systems and procedures and getting the staff to adopt them. The stamina that is required to build a landscape business for decades and decades. It is not a sprint. It is a marathon. So here’s to you, for taking on the risks, and for performing the special kind of “labor” that is the labor of being a landscape business owner. Have a wonderful holiday weekend.